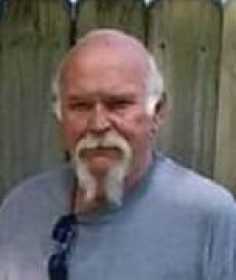 Ernest Stillwell Clifton, 70, Sheldon, Mo., left his earthly body and went to be with the Lord on Sunday, March 31, 2019. Ernie was born Nov. 8, 1948, in Warrensburg, Mo., to Charles Ernest and Vera Meryl (Rhynerson) Clifton. He was united in marriage to Margaret C. Patrych on May 5, 2006, in Bronaugh, Mo., and she survives of the home. Ernie was born and raised in Warrensburg and attended school there. At age 17 he enlisted in the United States Army. He served in the army for 24 years in Military Intelligence until his retirement. Following his years in the service Ernie traveled the world for a time for various employers. In 1998, he settled in El Dorado Springs and began employment at 3M Nevada retiring in 2008. Ernie loved spending time with his children and grandchildren. He achieved his dream of rescuing dogs. In addition to his wife, Margaret, survivors include two daughters, Melinda Green and her husband, Robbie, Miller, Mo., and Elizabeth Johnson and her husband, Leland, Nevada, Mo. ; two sons, Matthew Johnson and his wife, Wendy, El Dorado Springs, Mo., and Edward Johnson, Nevada, Mo. ; many grandchildren and great-grandchildren; two nieces, Lajena Lammers and Alichia Lammers; and many other family members and friends. He was preceded in death by his parents; one sister, Ortha Clifton; an infant brother; and one aunt, Lillian Clifton. Funeral services will be held at 11 a.m., Friday, April 5, at Ferry Funeral Home, in Nevada with Jamie Alexander officiating. Interment with military honors will follow in Fort Scott National Cemetery. The family will receive friends from 10 to 11 a.m., prior to the service at the funeral home.